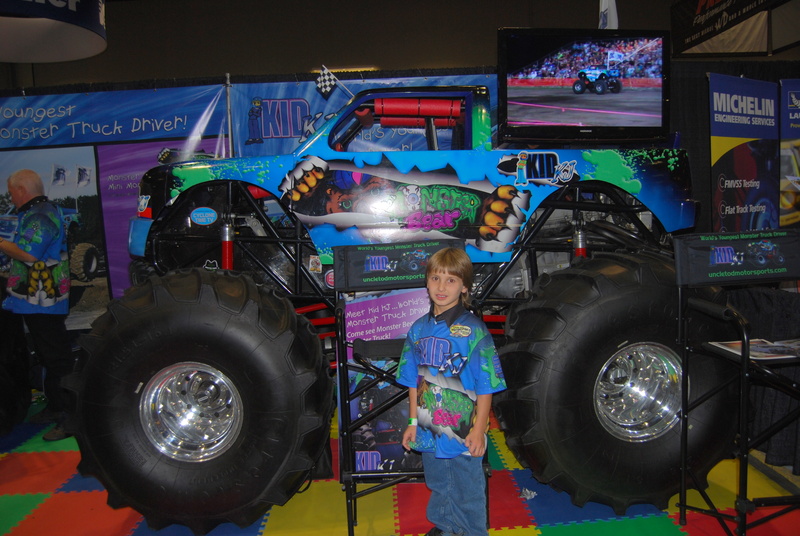 Last week, Motor Man and I were in Orlando for the Performance Racing Industry trade show. Think of it as a toy show for grown-up little boys. And not yet grown-up little boys. There were some new lessons learned on this trip. And there were some things I already knew that were reinforced. My husband would fly with his head out of the window of a plane if it were possible. He loves to fly, and if the ground is visible, he’s looking for landmarks to try to determine exactly where we are. 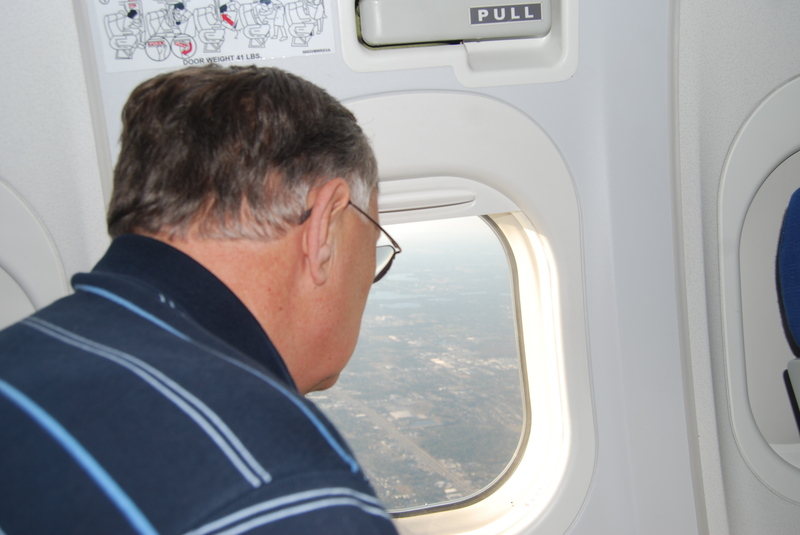 I am going to have pain in my ears when the plane descends – no matter what I do. I’ve tried chewing gum, yawning, nasal decongestants, nose sprays and Ear Planes. Yes, that’s a real product. If you have suggestions, I’m open to them. Flying is the second greatest thrill known to man. Landing is the first. I don’t know who to give credit to for that statement, but it’s definitely my motto. If you have a fever of 103 on Monday, you are not going to have your complete energy level back by Wednesday. Or Thursday. Or Friday. Airlines now offer in-flight high speed internet. We flew Air Train, and they’re having a promotion this month, so it was free. How cool is that? I laid my boarding passes on the seat beside me in the waiting area at the airport depature gate. After I finished reading the newspaper, I also laid that on the seat beside me. When I tossed the newspaper in the garbage, evidently our boarding passes got tossed in there too. And within a few minutes, an airport employee emptied the garbage can. I didn’t realize this until about 5 minutes before we were to begin boarding the plane. The lesson learned is this: the clerk at the gate didn’t get upset or scold me! She just asked my name, looked at my ID, and reprinted our passes. And that’s even cooler than free in-flight high speed internet.